Red Tiger Gaming have succeeded again by providing the online gaming industry with this entertaining, Easy Slot machine, for spinners to have a laugh with and increase their returns in an online environment. The 5 reel formation game has 40 pay lines and a maximum bet of 500 pounds. The maximum pay-out is 1,000 times the original bet but with bonus games, free spins and scatters this is certainly on the reels. We are going on a trip to Japan with Sumo spins and being invited to meet the Sumo wrestlers! The slot game will take you right into the wrestling ring names dohyo. This is where you will be introduced to three Rikishis: Red Rikishi, Blue Rikishi and Green Rikishi. Red Tiger gaming have provided online-slot machines to the market since 2014 and provide high-quality gaming to players in both Europe and Asia. They are well known for their iconic branding which encompasses the strong head of a red tiger! Look out for their games across a range of online gaming platforms and casinos. 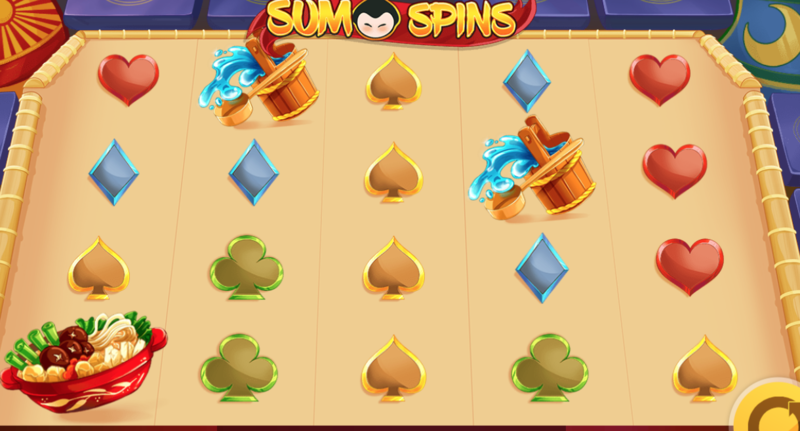 What makes their content so appealing is the fact that they specialise in developing high-quality slot games to play online – aiming to create iconic and creative themes for their players, with fantastic slots promotions. The background to the reels shows the hustle and bustle of the fighting arena, with spectators lined up to watch the big fight! The green, red and blue features act as scatter symbols in the main game but during the Sumo Showdown feature, they act as wild symbols. Some of the symbols are shown as various plates of food which are needed to fill the stomachs of the hungry sumo wrestlers! You will also see a fan pop up in the reels and an assortment of letters. The final symbols are made up on card suits. 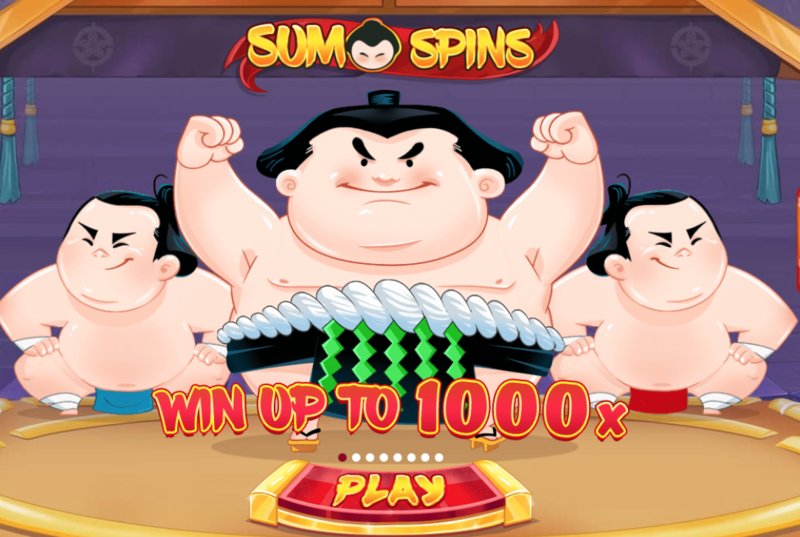 Red Rikishi – this sumo wrestler has the ability to scare off demons with his legs and nudge the reels which increase the chances of winning satisfying payouts. Blue Rikishi – This guy will trigger the power roll which as you can imagine has the ability to turn the reels over so that all of the symbols correlate. If you are lucky enough for this to happen then there are huge pay-outs to be gained! Green Rikishi – It gets better yet as this Rikishi will generate the respins! 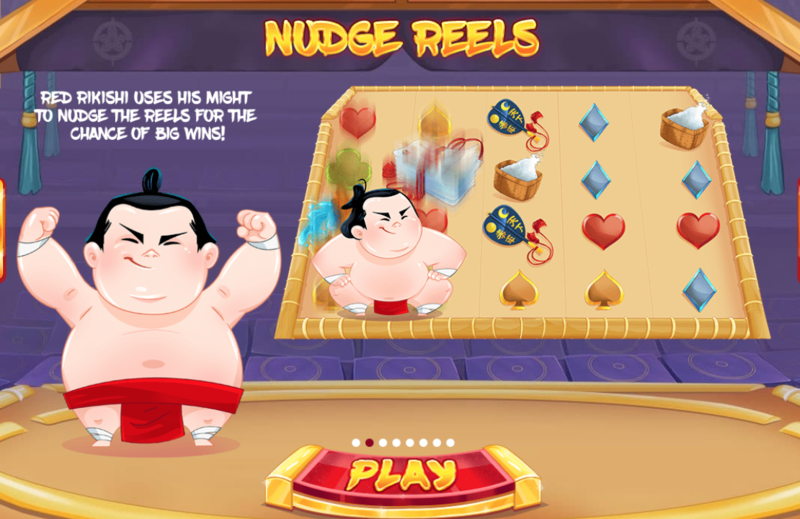 If two or more Rikishis appear on the reels, the Sumo Showdown round is triggered and the battle of the Sumos begins! You can pick one of the wrestlers to become the wild when this happens too.